Services made up about 16 percent of Apple’s total revenue in the forth quarter of 2018. It made up less than 10 percent in Q4 2015. Services revenue is higher than iPad but lower than Mac sales. iPhone revenue is growing too, thanks to larger price tags, but those markups have contributed to stagnant unit sales — and further price increases could only make the situation worse. 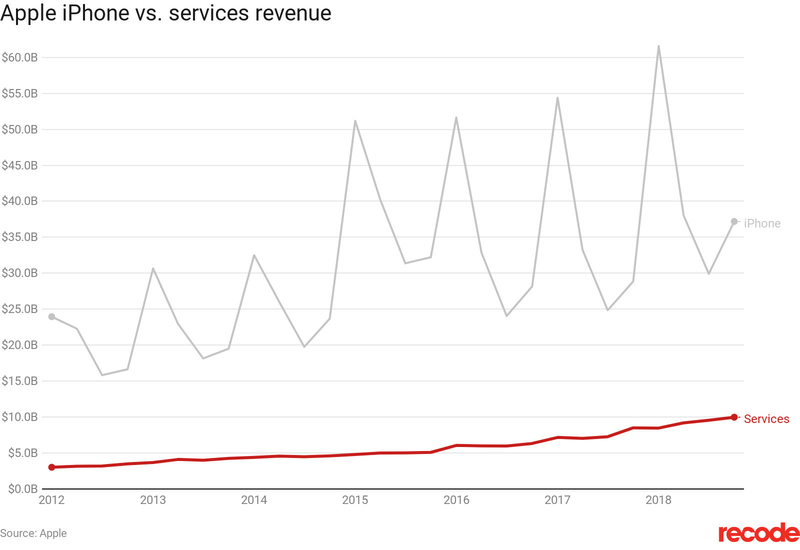 Of course, the fortunes of many of Apple’s services — iCloud, Apple Music, Apple Pay — are still partially contingent on the success of the iPhone. So increasing services revenue isn’t a silver bullet, but it’s better than the alternative."